The application is open until April 15, 2018. 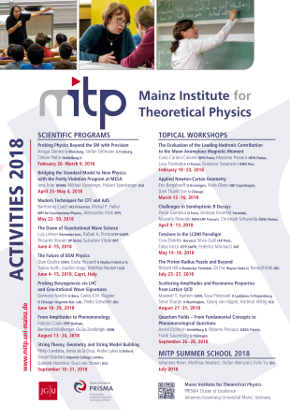 The scientific program brings together mathematicians and theoretical physicists working at the interface of geometry and string theory, focusing on new developments in Calabi-Yau manifolds and related supersymmetric backgrounds, as well as their applications to compactifications of string theory as models for particle physics and cosmology. The scientific program is centered around three main topics: (i) Calabi-Yau manifolds in string theory and related Mathematics, (ii) supersymmetric flux geometries and non-geometric backgrounds in string theory and Mathematics, 3. applications to string compactifications as particle physics and cosmological models.